The first suggestion we make is to read what we said last year about the month of Nissan. What will be said this year will build on what we said last year. Below are links to Blog about Nissan the last two years. Please press your back button to return to this location after you read last year's Blog. Please check to see if your name has been added to the list of names completed. If not yet listed send me an email and i will add your name to my list or use the name form link to the right of this page. Name: Nissan - Aviv ניסן - אביב . The word Nissan means Miraculous. Nissan can be permutated to a Nes to 60 or to 710. Usually a Nes means to run away from the physical. This year of 5775 we have the potential to run towards the 60 Sefirot of Zeir Anpin. The perfected spiritual worlds. Since we live in the potential periods of the final letters we can also run towards the perfected 71 nations. This year when we run towards the perfected 71 nations we can manifest the completed peace that we have been speaking about. This will happen during Nissan. It is our certainty that will make it happen. In 5774 we manifested a partial cease fire - only in the South to add to the area of Sinai which has now had limited peace for a number of years. In 5775 we can manifest the realization of the truth - that death is an illusion; no one has to die. The word Aviv means Spring and also can be translated as the Father of 12. Nissan is the Keter. As the Keter it includes all of the months of the year. It can also be translated as My Father's House. In Kabbalah this is my mother and also the Sefirah of Binah. Understand this well. Use this idea to manifest the energy of the Parasha of Tazria as described in the reading of Shabbat HaChodesh. Attribute: Speech - Communication שיחה - SichahThis attribute reflects the idea of the Holiday of Pesach. Pesach starts with the letter Pey that also means Mouth that Speaks. Recognize that Moshe spoke the words that HaShem gave him to speak. This happened in many months but had its start in the month of Nissan according to the Midrash. Ancient Tribal Connection: Reuben - ראובן . The direct translation of Reuben's name is "Behold - A son." This should be a powerful Name yet it comes with only 1/2 of the Normal Power. Reuben was a first born that lost that energy when he lost control of his desires in the event of Bilhah. This lack of control was given to his descendants as well since they chose to stay outside of the Land of Israel. All of this came about through the consciousness of his father Jacob who thought he was sleeping with Rachel when he conceived Reuben with Leah. This lack of unity has constantly followed this Tribe and is also a reflection of the month of Nissan. Nissan can be like Reuben the normal spring or the miraculous spring. It is up to us to manifest the miracles by removing ourselves from this normal aspect of nature. Modern Tribal Connection: Yehudah - יהודה Yehudah is the nature of Nissan. It is both a miraculous connection to the spiritual levels and the regular aspect of the physical world. Yehudah as the ability to open a door between the spiritual and the physical. The question is will he? Tribal Totem: Water מים Water has a dual aspect. This aspect was developed on the second day when HaShem separated the waters to be above and below the firmament. The innate nature of water is "Mother of Life." Yet human life can not live below the waters. 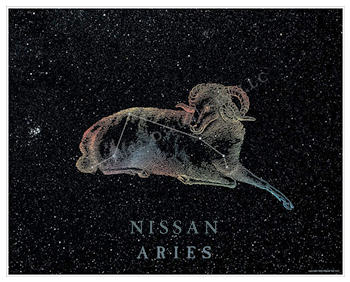 This duality is difficult for us to relate to and to understand just as Nissan has this dual aspect of sharing the wool that the lamb creates while innately having a selfish desire. 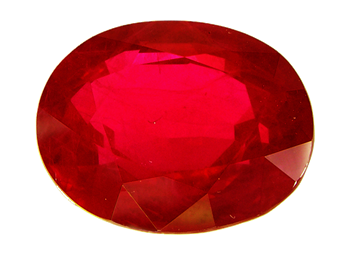 Tribal Stone: Ruby / Odem אודם . The Odem helps to protect against miscarriage in both pregnancy and communication. It helps to avoid a lack of patience although it did not seem to work with the Tribe of Reuven since they opted for land earlier than the Land of Israel. This land will be the Land of Israel but not when they decided to take the land. Only after the coming of Mashiach. Tribal Herb: Tzaree which is Balsam צרי Balsam has the essence of being restrictive. It strips itself and all other parts of the Ketoret down to its essence. The essence of Balsam is to strip problems down to manageable levels. Balsam helps to restore our self confidence. In Shamanic journeying Balsam will help to find someone who has lost their way. House: Bayit HaChayim / House of Aliveness בית החיים . The essence of this house is to realize that we are in a state of being. Do not allow your perception of different aspects to overwhelm your state of being. Zodiac Sign: = Taleh Lamb/Ram תלה . The essence of the Taleh is its stubborness which is a positive trait. The lamb does not give up. It does not give up since its essence is about itself. The taleh needs to learn to change to a sharing mode. 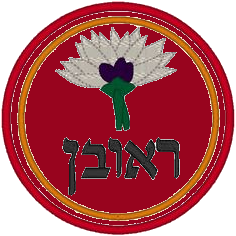 Tribal Flag: for Reuven is Red Edom אדום with a mandrake fruit. This flag is red with the emblem of the mandrake fruit. Red is the color of desire. The mandrake has the perception of assistance with pregnancy. The bringing forth of the new year and a new thing. Tribal Direction: South דרום נגב Negev and Darom south is the energy of loving kindness which is Chesed. Yet truly must come the cleansing the Negev, the desert. Nissan is the first month of the year. Nissan has another name in the Torah. Nissan is never mentioned in the Torah. It is called the first month in the Torah and it is also referred to as Aviv אביב which means Spring. Aviv is actually two words. It can be translated as Father of 12. This is consistent with the Tree of Life and Kabbalah which explains that everything is included in the first of something. Keter (from the Tree of Life) includes all of the following Sefirot. The energy of Nissan has all of the energies of all of the months within it. There is just one change we must make within ourselves to feel the pleasures of all of the months of the year. That issue is to lower our desire to receive for oneself alone. That is the true energy of freedom. Breaking free from our limitation of selfish desires. This is the true essence of Nissan. This is what we mean in Kabbalah when we use the word freedom. In order to break free of our selfishness it is necessary to find a miracle to assist us. 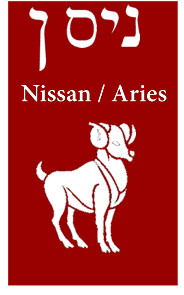 That is also the essence of Nissan ניסן since it has the word Nes נס within it. Nes is the Hebrew word for Miracle and means to run away from. A miracle is running away from the natural order of things to the higher level where what we call a miracle is the natural order for that world and then bring that energy back down into our physical world. That is the meaning of a miracle. As a cautionary attitude, this month will bring lots of opportunities to involve yourself with confrontations, battles, and potential antagonism. This is a prime opportunity to fall to the Satan and his favorite tool causing you to become angry. This must be minimized. (Please see below for tools to avoid anger). So what do we replace our normal angry reaction with? To battle against our desire to receive for oneself alone. See below for a more detailed discussion. Letters for control of the month of Nissan ניסן are the Dalet ד and the Hey ה See below for these letters and also the permutation of the Tetragrammaton. These assist you to take and keep control of the Astrological influences for the month. There is also a unique ritual only available during the month of Nissan that assists us to control all of the months of the year. As you know, my favorite adage is "Do not believe a word i say but please and especially do what i suggest for this month." It can only benefit you and the only takes is 5-10 minutes of your time each day for 14 days. This small investment of time will bring you additional control during the year. I have explained control many times but here is a story that may help you understand "control" in a different way. Perhaps someone is watching television. He wants to change the channel. One technique which is not a normal practice is to get off the couch, walk to the TV and turn the channel. That is one level of control but most people do not think of it as control. Another method is to change the channel using a remote control. That also is a level of control of one's environment but most people do not consider that control. A third method is to ask someone else to change the channel either with or without the remote control. People when thinking about this will realize that this is control of our environment. In all cases our desire is fulfilled. Control of astrological influence means to overcome that influence using what ever method the consciousness of the person will allow to manifest. If someone is on the level of consciousness of Mind Over Matter, the TV will change channels at the influence of the person's consciousness. For most of us it will take the form of the alternatives listed above. 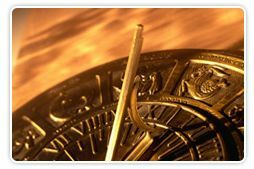 With respect to astrological influence, when one knows the influence by learning and understanding Kabbalah, then one may utilize the techniques of the Hebrew Letters to enhance the positive influence and eliminate the negative influence. The Hebrew Letters act just like the buttons on a remote control, they work and the user does not have to know How or Why they work. Here are the letters of the month and the Tetragrammaton Permutation for the month of Nissan. Now let's look at the permutation of the Tetragrammaton for the month of Nissan and what we can learn. The Tetragrammaton is normally spelled יהוה.This is actually the permutation used during the month of Nissan. When the Yood is in the first position. The first position is normally considered the World of Atzilut (Emanation). The second position normally has a Hey and is considered the world of Brea (Creation). The third position normally has a Vav and is considered the World of Yetzirah (Formation). The fourth position normally has a Hey and is considered the world of Assiya (Action or Manifestation). The word that is the Tetragrammaton is actually the Hebrew verb "to be" in a conjugated form. The Yood at the beginning of a Hebrew verb indicates action. Therefore, the Name of God translates into English as "Active Being." The ultimate essence of "Active Being" is transcendent power of love and compassion without regard to people's merit or accepting the limits of natural law. This permutation puts the Name of God in its normal, proper, and optimal placement to provide for the maximum flow of the Beneficence of HaShem of Ain Sof or Endless World. The upper Hey in Beria expands to support actual Birthing and Creation. The Vav then channels this energy of Creation into the final Hey in the World of Malchut which is Manifestation. Also, please note the self evaluation in preparation for the Holiday of Passover (Pesach) begins immediately after the Holiday of Purim in Adar. Remember Spring Cleaning is not about making yourself crazy with physical cleaning. It is about removing your ego so that you can get closer to God. That can be done by physical cleaning with the consciousness that this action is cleansing me spiritually. Let me repeat this so that one can truly realize that making oneself crazy with the details of the physical spring cleaning does not actually prepare one for the holiday of Pesach. What does prepare you for this potential new year energy? When one is constantly reviewing our actions in order to improve the consciousness behind these actions, that is what is truly meant by "preparing for Pesach." As one cleans the space where one lives physically, one has the potential to tie one's consciousness to that action in order to cleanse internally as well as externally. All you have to do is think that this external cleansing is cleansing internally. This technique does work. Please try it this year. The letter Hey created the constellation Taleh טלה which is the Ram. Except the actual animal is female and called the Lamb. 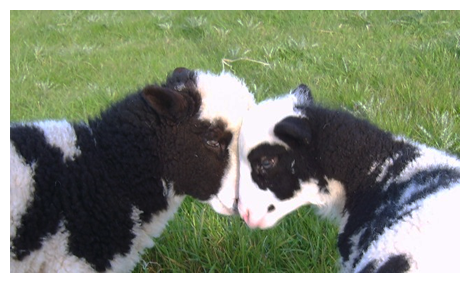 The Zohar explains that the Lamb is the most negative animal on earth. Why would the Zohar say this about this passive cute little animal that everybody loves to feed at the children's zoo? If you ever get the chance to watch the lambs being fed by the zoo keepers you will see that each animal is given its own bowl of food. During the meal one animal frequently pushes another animal away from his dish. Then the pushing animal returns to his own dish. When the pushed animal returns to his dish to start eating the first animal again pushes the returning animal away from that same dish and returns to his own dish. In essence, the pushing animal is saying what is mine is mine and I do not want you to have anything. This is the epitome of selfishness. This is what Kabbalah defines as selfishness and selfishness is defined as negativity and evil. The energy of the Taleh has the energy of the Desire to Receive for Oneself alone. As we will see the rituals associated with the month of Nissan help us to transform our own desire to receive for oneself alone into the desire to receive in order to share. The gematria of the Taleh is 44 which is the word Dam (short a) דם. Dam is the Hebrew word for Blood which implies judgment. Yet the spelling of Taleh includes the word Tal which means dew along with a final letter Hey. This relates to the coming of Mashiach and the miracles associated with that event. We can see that the energy of the month of Nissan is mixed Mercy and Judgment. It is imperative that we take control (please see above for a deeper understanding of control) of this mixed energy and make sure that the Mercy component is stronger than the Judgment component. The letter Dalet created the planet Mars which is Maadim מאדים in Hebrew. Mars is the red planet which relates to Blood and is also considered the Planet of War. The gematria of Maadim is 95 which is the same gematria as two other Hebrew words. Haman or the Manna from Heaven and HaMelech which means the King. The King is HaShem. Therefore, the energy of Nissan has the energy of Parnasa and Sustenance as well as the idea of HaShem being in control of everything. All we have to do is connect to HaShem during this month by removing our selfishness and transforming it to sharing. We will see this in the rituals we perform during Nissan. Passover/Pesach is an 8 day Holiday in Nissan. The essence of the Holiday on the physical level is celebrating the Redemption from Slavery in Egypt. The spiritual essence of the Holiday is Freedom from Egypt. In Hebrew Egypt is the word Mitzraim. The shoresh of Mitzraim is Metzar which means narrow or limited. The Holiday of Pesach is related to breaking out of the limitations that are created by each of us. We will discuss this at length during our Preparation for Pesach classes. Our preparation for Pesach started with the Zion Adar (7th of Adar) and will continue through the period of the Omer and culminate on Shavuot. The Light of Pesach is exactly the same Light that is revealed with the Gift of the Torah on Shavuot. The difference is the Light of Pesach is a "free gift" from HaShem without any Bread of Shame attached to it. The Light of the Torah that is revealed on Shavuot is the same Light of Pesach except we have earned this Light through our mechanism of Counting the Omer. We are preparing for this 90 day period as follows: Each Thursday at 7 PM Pacific Time and each Sunday morning at 10:30 AM Pacific Time we will deliver a class that will prepare you for these holidays. It will take approximately 3 weeks for that preparation. These class recordings are available for those who wish to receive them. Please send an email requesting your copy of the recordings and I will forward to you a link for each of these classes as they are available. The first energy day in Nissan is Rosh Chodesh. It is also the beginning of the first ritual associated with Nissan. Since Nissan is the first day of the year, the ARI teaches us that the first 12 days of Nissan connect to each of the 12 months of the year. I will post the schedule and the links below. On the 13th day due to the connection to unity associated with the number 13, we are able to strengthen the effects of what we did during the first 12 days. There are also issues on the 14th day connected to the ritual of Passover that are important to do. Please see the discussion below dealing with the ritual of Passover and the Burning of the Chametz. There is a Blessing that may be said only once per year. 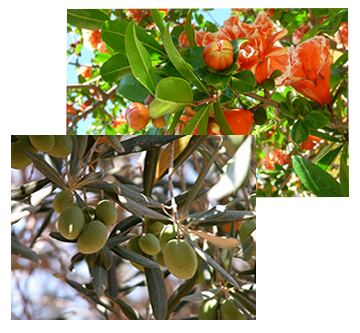 It is a Blessing connected to the Tree of Life through the Blessing of the Fruit Tree. It is also a Blessing that connects to Fruitfulness, Children, and Continuity. That is why it is said only when one sees at least two Trees in Bloom as soon as possible in the Month of Nissan. Since this year Rosh Chodesh is on Shabbat, we do not say this on Shabbat nor this year on Rosh Chodesh. It is best to say this Blessing with a Minyan. It is acceptable to not delay the Blessing if you see two Fruit Trees in Bloom so there is a leniency to say the Blessing without a Minyan. Please note that it is a Chesed to say this Blessing as early in the year or month of Nissan as possible. Even to searching out a conservatory to find two fruit trees in bloom. This is due to the teaching from the ARI who teaches that this Blessing elevates human souls from the vegetable kingdom into the animal kingdom. This can only be accomplished in certain months of which Nissan is one. Here are links that connect us to the ritual for each day of the 13 days and how they connect to each month of the year. This ritual may be performed anytime of the day or evening. The preferred time is the morning immediately after sunrise. Please note the dates below are the daytime. Each Hebrew date starts the evening before. Nissan Day of 14 (night of April 2 2015) - Search for Chametz. The evening of April 3 rd 2015 is First Seder Night. The evening of April 3rd 2015 is actually the beginning of the 15th day of Nissan for the year 2015. The Hebrew word Seder means "order." It consists of 15 steps to perform as a ritual that brings order to your life and helps you achieve victory in the battles you will face in the coming year. The only true battle is against the Desire to Receive for Oneself Alone. We will be discussing the Seder and its meaning during our 5 Thursday night classes for "Preparation for Pesach." Recordings will be available for these classes for those who would like to hear them. Please send me an email request for them. The next energy takes place on the Evening of the 15th Day of Nissan. THIS is the second PESACH SEDER. In Israel there is no second seder. This only occurs outside of Israel. The explanation for this is given in my class recordings about the Hebrew Calendar. Evening of the 15th of Nissan, which is the second Seder, is also the first night of the Omer. Each day of Nissan from the evening of the 15th till the 30th will be a high energy day dealing with the Counting of the Omer as we count up to Shavuot. Again this subject will be discussed at length on our recordings of the Preparation for Pesach. The next energy day is the 7th day of Pesach which is the 22nd of Nissan. This day is "called " a Holiday in the Torah. It is actually the day when the Yam Suf (Sea of End) is split. We have available a study guide for the 7th day of Pesach. There is also a unique ritual that connects us to the actual energy of the Miracle of the Parting of the Sea, since the same energy is available at the same instant the the parting took place. Here is the link to the study guide created by Rabbi Chaim Dizzin. Here is the link to the Tzadikim from Nissan. The Tribe for the month of Nissan is the Tribe of Yehudah. Nissan Day 1 - Tribe of Yehudah. I suggest you spend some time during this month checking out the attributes of the name Yehudah and the Name of the Nasi who gave the dedication and his consciousness of why he gave what he gave. Remember not all of these attributes are positive and with the tool of "Binding by Striking" we can correct them and transform them into positive aspects. Here are strategies to adopt for this month of Nissan that will help keep you in balance. Yet remember the most effective tool to keep you in balance for Nissan is the Seder itself. There is a famous verse in Psalms that teaches us how to connect with HaShem. Our sages have explained this verse as meaning to always visualize the Name of HaShem in front of us at all times. A meditation is one method to achieve this goal. By visualizing these 4 letters one is connecting to HaShem. Since there are actions to take (see above) every day in Nissan we have the opportunity to meditate on the Name of HaShem every day and every evening during Nissan. This is a good practice to start during Nissan and continue each day of the year. It is an even better practice to intertwine your name in Hebrew Letters with the Tetragrammaton. Write to chanoch at yeshshem@hotmail.com to get your Hebrew Name and the intertwined sequence to use as a meditation tool. The first step to make plans is to identify the problem. During Nissan the universe supports our ability to identify our limitations. We can use Dream Questions or Ask the Goral or many other techniques to learn hints to what our limitations are all about. Also, the universe will bring people back into our life to help us identify our own limitations. Once we identify these limitations we can start to set plans to break out of these boxes and limits we have set for ourselves. We will find out that most of the limitations we create come from Fears and Resistances or Blockages. When we identify these fears and blockages we find that the limitations caused by them disappear. One meditation that is useful to identify your fears and blockages is the following: Pick a spiritual, emotional, or material goal you want to achieve. Visualize this goal as a shining light at the top of a mountain with a straight line of stairs going directly up the mountain. Now see what might stop you as you walk that path of stairs. 4. Identify supports to achieving your goals. Use the same mediation from above only this time see who or what will support you in reaching the top of the mountain. If your lunar north node is in the Zodiac sign of Aries, your Tikune is in Aries. A tikune in Aries tells you that you formerly had the behavior of a Libra (south node). That is, you were often in the role of arbitrator but were unable to settle conflicts because you refused to make decisions. Taking sides was difficult for you, since it implied possibly hurting someone. Because of this, rather than make a clear choice, you tried to unite what was incompatible, and you suffered the consequences of your indecision. As a Libran, you learned to compromise in order to avoid confrontation. Your behaviors in your last life time led you to choose classic passive-aggressive behavior! A tikune in Aries points you toward a correction where you must break out of your limitations in order to uncover your identity, your unique needs, and your individual desires. You must seek independence and reinforce your self-confidence. This will help you discover your own spiritual nature and enable you to become more proactive in all areas of your life. Along this path of correction you can stop avoiding confrontations and face each situation as it unfolds without needing the approval of others. As you pass each test, you will gain awareness and confidence, come to know your own personality, and strengthen yourself. Combining Libra’s altruism with Aries’ ability to “fight the good fight” will bring about an overall elevation of your soul allowing you to become the cause of the fulfillment you will soon receive. Aries influence on all of us. Every year the worst family arguments take place at the Seder Table since the influence of Mars is the strongest of the month and most people do their cleaning on a physical level not taking control of the astrological influences. This teaches that what happens to the Jews will happen to the non Jewish world. An example is the second world war and the Showa. 6 million Jews died and 60 million human beings died during the second world war. Try to see past the illusion of death and destruction that many in the world to the rebirth of spring and renewal and breaking out of our limitations which is "Freedom" in its deepest sense. Every year towards the end of Nissan the world experiences the worst confrontations between various groups be they countries that are in conflict or war or by groups involved with conflicts. This comes from the influence of Mars the planet of war during Nissan. We all will experience that push toward conflict, yet by using the tool of Binding by Striking we are able to generate the emotional strength to overcome our personal conflicts and effect reconciliation. Nissan is an opportune time to build bridges and make peace with people with whom you’re in conflict. In the 1930 some Chasidic Jews from Poland needed to do business in Germany. Looking like Orthodox Jews with a long beard and payes and Tzitzit they were exposed to great personal risk and harm when traveling in Germany during the rise of Nazism. One Chasid went to his Rebbe the Munkatcher. He asked for a safe passage through Germany. The Rebbe told him that he could not. The Chasid told him a story about the Berdichev Rebbe that gave his Chasids a safe passage passport approx 100 years earlier. The Chasid said i know you can do the same. The Munkatcher Rebbe excused himself and went into another room to pray. When he returned, with tears in his eyes, he gave the Chasid a blank piece of paper and said "Here is your safe passage passport." The Chasid crossed the border from Poland to Germany. When asked for his passport he handed the blank piece of paper to the soldier on passport control. The Nazi soldier said, "Germany is fortunate to have a business man like you visit our country. Let me give you a letter of introduction and i will have my people drive you around." Last month during Purim we removed Doubt from ourselves. We connected to the hidden HaShem. Now during Nissan we have the opportunity to utilize this energy of certainty to break out of our own limitations and cross borders without fear. There is just one more thing to realize from this story. We each have a connection to HaShem. We each can reach the consciousness of the Munkatcher Rebbe and the consciousness of certainty exhibited by the Chasid. We can utilize our friends as the creator of the passport that crosses borders and breaks out of limitations, or we can be that source for our friends. Have a Happy Pesach - Remember Pesach is your mouth that speaks the words of the story, which is the meaning of the Hagadah. It is up to you Speak and break your limitation with your words of Blessing to Others not your words of Curses to Others. The ultimate words of Blessing is THERE IS NO DEATH FOR YOU. The ultimate words of Curses is You do not look well - i hope you are feeling well..